Suzanne Brown was a member of the inaugural women’s Varsity lacrosse team at Rensselaer Polytechnic Institute in 1992. She was the leading scorer for her team. After graduation she played with the Atlanta Women’s Lacrosse Club as well as serving as a club volunteer. Sue moved to the San Francisco Bay area and immediately became involved with the post-collegiate women, serving as President on the Northern California Women’s Lacrosse Association (NCWLA) from 1998-2004. During her tenure, shere-organized women’s club lacrosse growing the Association into a strong league offering intra-league play and competing in tournaments throughout California and beyond. 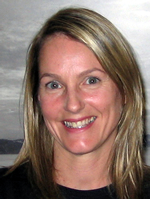 Sue competed for Nor Cal at the US Lacrosse Women’s National Tournament in 2002 and 2003. She also umpired women’s lacrosse in 2001 and 2002. Sue served on the Nor Cal Lacrosse Foundation board as the Women’s Lacrosse Delegate from 1999-2004. She was a board member for the Northern California Junior Lacrosse Association (NCJLA) as the Girls’ Club Delegate. As Head Coach of the Skyline Lacrosse Club Junior Girls, Sue led her team to a NCJLA Girls A-Team Championship in 2003 and 2004, including undefeated season records both years. In 2004, she took the first NCJLA Girls All-Star Team to the US Lacrosse Youth Lacrosse Festival. That same year, Sue received the prestigious US Lacrosse “Excellence in Growing the Sport” Award. Sue currently lives in the Bay Area with her family and is contemplating a comeback as a player. 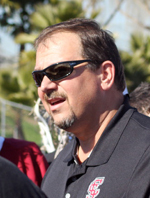 Since 1996, Jay Costello has started or been instrumental in starting over a dozen lacrosse programs in Bay Area schools, both boys and girls, including teams at Redwood, Tamalpais and Sir Francis Drake high schools in Marin County and other youth programs in San Francisco and San Jose. Still active in new programs, he is currently working with George Washington High School to start what will be the first lacrosse program in a San Francisco public high school. 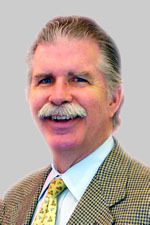 Mr. Costello served as board member for the Southern Marin Lacrosse Club from 1997 to 2003 and President of the University of California, Berkeley men’s lacrosse boosters from 2003 to 2005. He graduated in 1974 from Pomona College in Claremont, CA where he was captain for three years, league all-star for two and named most valuable player. Gary Podesta began his lacrosse career on Long Island, New York and continued to Washington and Lee University where two life-long vocations emerged: physical therapy and coaching lacrosse. He began his coaching career in 1979 at Bethpage High School in New York producing three players who would become college all-Americans. After moving to California, Gary began to coach at the college level. From 1983-1995 and again from 2000-2009, he was the head coach at Santa Clara University. In 1993 he was selected as Western Collegiate Lacrosse League Division 1 Coach of the Year. In 2003, he was inducted into the Santa Clara University Athletic Hall of Fame. Gary is currently the offensive coordinator/assistant coach at Notre Dame de Namur University in Belmont, CA. He is the President of the Western Collegiate Lacrosse League (WCLL) and serves on the Board of the Northern California Chapter of US Lacrosse. Podesta resides in Gilroy, CA with his wife Lyndsey and their family. He is a physical therapist working as an ergonomic consultant at Chevron Corporation headquarters in San Ramon, CA. Susan Schofield grew up mostly in San Diego, CA, but during 3 years at an international school she played some field hockey, which is the closest she came to lacrosse until much later. After graduating from Stanford University in 1966, she was a Fulbright Scholar to France and then began a rewarding career as a Stanford administrator. She and her husband had two sons in the early 1980s, leading to … lacrosse in the mid-1990s. Their older son picked up a stick, immediately loved the game, and his younger brother followed soon after. Susan became energetically involved with the Tomahawks Lacrosse Club, serving as team parent, score keeper, and avid fan. 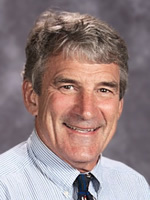 From 1998 - 2001 Schofield was the Tomahawks president, presiding over a significant expansion of the Club’s programs to include the first Pups Boys teams and the first Girls high school teams. She served four years on the Northern California Junior Lacrosse Association (NCJLA) board, organized several Tomahawks Varsity team trips to Southern California tournaments, and ran the League’s Golden Gate Tournament. In 2001, Susan became president NCJLA. As the first female, non-lacrosse player to chair the organization, she brought strong organizational and leadership skills, partnering with knowledgeable coaches and officials on the board, to further the sport during an exciting period when the number of teams was growing and CIF certification was becoming a reality. 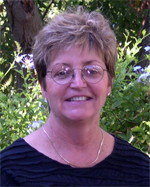 Susan is the Stanford University’s Academic Secretary Emeritus. She currently lives in Los Altos Hills with her husband Glen. Their sons Conor and Taylor both now live in Seattle, own a construction company together, and still play lacrosse. Jeff Young’s collegiate career was at University of Delaware where he played midfield and defense from 1971-1973. His coaching career began as head coach for the Sidwell Friends School (Washington, DC) varsity lacrosse program in1978. The next year he took the positions of athletic director and head varsity lacrosse coach at the Stevenson School (Pebble Beach, CA). He also coached varsity football; assistant for 9 years and 14 years as head coach. Over the past thirty-one years, his lacrosse teams have won numerous league championships. Jeff has been the recipient of several “Coach of the Year” and “Man of the Year” awards from US Lacrosse. During his tenure at Stevenson School, Jeff founded and ran Nike Lacrosse Camp Pebble Beach for 20 years. He has been the Committee Chairman of Central Coast Section lacrosse coaches since 2000 and a member of National Federation of State High School Associations (NFHS) Lacrosse Rules committee since 2008. Jeff and his wife, Beth, currently live on campus at the Stevenson School in Pebble Beach where they have lived and raised their family since Jeff’s first year as the school’s AD.